FARMINGTON — A Wilton woman told a state fire investigator that she set trash on fire on a bed at her boyfriend’s house at 732 Industry Road on Aug. 6, according to an affidavit filed with a court. 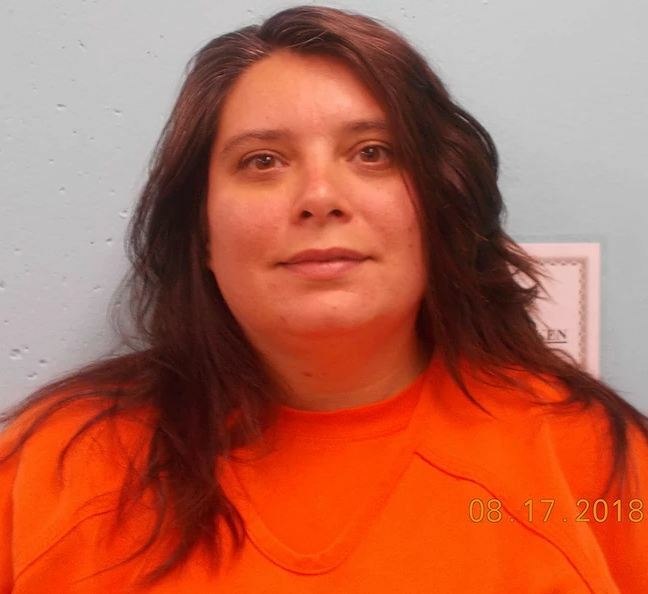 Angie E. Clark, 38, and her boyfriend, Robert Nadeau, 47, of Farmington had an argument before he left the house to spend the night with friends Aug. 6, according to state investigator Jeremy Damren’s affidavit. Damren interviewed Clark on Aug. 7. She said she started the fire and gave him a lighter that was used to start it, according to the document. Damren wrote that he took Clark to a Farmington hospital for an evaluation. She was arrested after her release Friday on felony charges of arson and aggravated criminal mischief. A conviction on the arson charge is punishable by up to 30 years in prison; a conviction for aggravated criminal mischief carries a penalty of up to five years in prison. Clark appeared before Judge Tammy Ham-Thompson on Monday via a tele-video conference from the Franklin County Detention Center to a Farmington court. Defense attorney Heidi Pushard and state Assistant District Attorney Kayla Palestini agreed to personal recognizance with a supervised release agreement. She is forbidden to have contact with Nadeau and a witness. Pushard said Clark has no criminal record. Ham-Thompson appointed attorney Jeffrey Wilson in South Paris to represent Clark. According to Damren’s affidavit, Nadeau received a text from a person who was staying in a camper on the property before the fire that notified him Clark had left the house, according to Damren’s affidavit. The person texted Nadeau again that she was back and left again. A few minutes later the person notified Nadeau his house was on fire. The last text message Nadeau received from Clark on Aug. 6 was at 9:28 p.m. It read, ‘You are going to have nothing just like me,’ according to Damren. The fire was reported 2 minutes later. Nadeau told Damren that he owns the house with his mother, Pamela Love. Farmington tax records has Love owning the property, which is valued at $34,000 for both land and building. There was no insurance on the property, Farmington Fire Rescue Chief Terry Bell said previously.